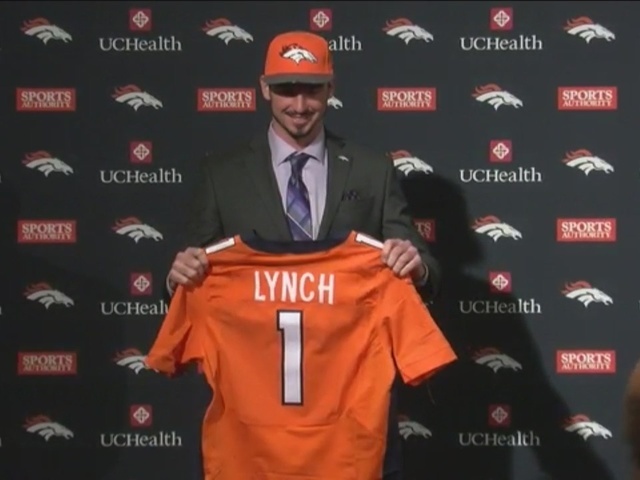 Paxton Lynch was introduced as the newest quarterback of the Denver Broncos during a press conference at Dove Valley on Friday, just a day after the first round of the NFL Draft. "It’s a blessing to be here to say the least. I never thought in a million years that I’d have the opportunity to play NFL football. But the good Lord has kept his eye on me and helped me through all of this. I’m very thankful for Mr. Elway, [Owner] Mr. [Pat] Bowlen, [Head] Coach [Gary] Kubiak and the whole organization for giving me this opportunity," Paxton Lunch said during the conference. 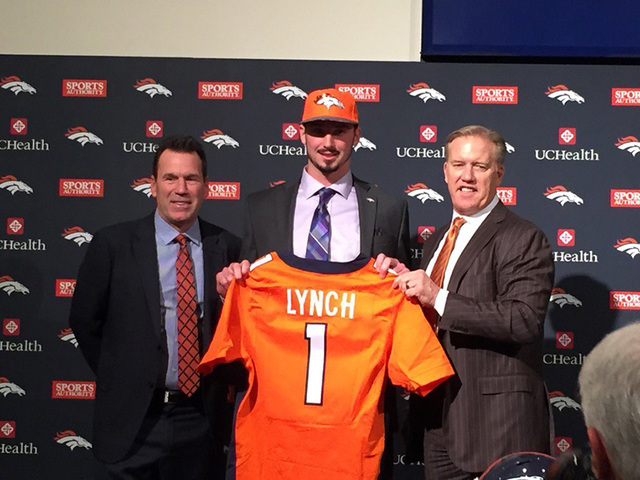 Proving he'll be a great fit for the team, Lynch said he's a fan of the weather. "I know when I left [Florida] I was calling my family members and my friends how much i loved the place, the scenery and the mountains. You really don’t get to see mountains in Florida." And to top it off, he's had a warm welcome from his fellow Broncos. And when he saw the Broncos logo? Lynch said he felt like he was wanted. "When I walked in, I felt good. I felt like I was wanted here. Like I said, I’m excited to spend a lot of time here and be around this coaching staff and all these players," he said.